Has become ready to bring Honor 8X to the Indian market. This phone will be presented on October 16 at an event to be held in New Delhi. This information has been made public on the All-Brand Honor website. It has also been revealed from the website that this Mid-range Fable Smartphone of Honor will be launched in Dubai, UAE and Madrid next Tuesday. Remember that the Honor 8X smartphone was launched in China last month with Honor 8X Max. 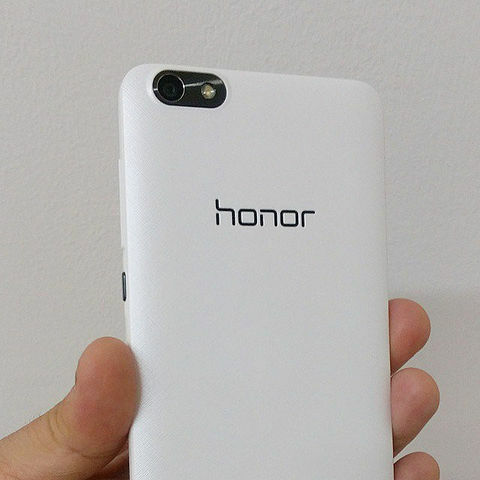 The Honor Global Website's landing page has revealed that an event will be held in New Delhi on October 16 for this phone. It is clear that the company's eye is on the festive season. Honor 8X is priced at 1,399 Chinese Yuan (about 14,700 rupees) in China. At this price you will get 4GB RAM / 64GB storage variants. The price of 6 GB RAM / 64GB storage variant is 1,599 Chinese yuan (about 16,800 rupees). The price of 6 GB RAM / 128 GB variants is 1,899 Chinese Yuan (about 20,000 rupees). The Dual-SIM (Nano) Honor runs on Android 8.1 Oreo based on the 8x EMUI 8.2.0. Honor 8X has 6.5 inch full HD + (1080x2340 pixels) TFT IPS display. Its aspect ratio is 18.7: 9. For Speed ​​and Multitasking, the Honor 8X comes in 4 GB and 6 GB two RAM variants with the highcillicon Kirin 710 F processor. Now talk of camera. The handset will have a dual rear camera setup, with a primary sensor of 20 megapixels and secondary sensor of 2 megapixels. The dead body of the rear camera is F / 1.8. There is also an LED flash on the back panel for better picture quality. A 16 megapixel front camera will be available for selfie and video calling. The front camera's revelation is F / 2.0. To store photos, videos and other things, two storage variants will be available - 64 GB and 128 GB With the help of MicroSD card, storage will be extended. For connectivity WiFi 802.11 A / B / G / N / AC, Bluetooth version 4.2, GPS / A-GPS, Micro-USB and 3.5mm headphone jack will be available for connectivity. 3,750 mAh battery will be available for power backup Honor 8X length-width is 160.4x76.6x7.8 millimeters.